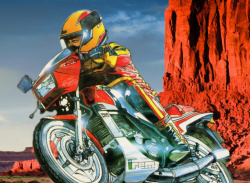 A total of 3,700 miles await you! 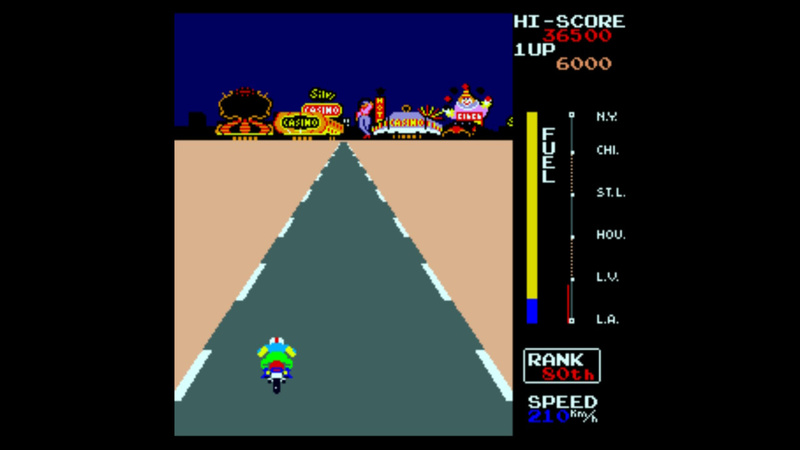 Challenge yourself to a ride across America! 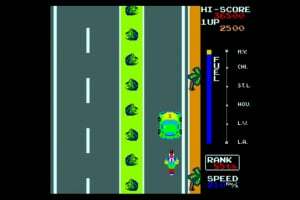 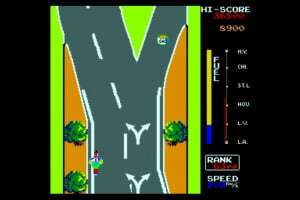 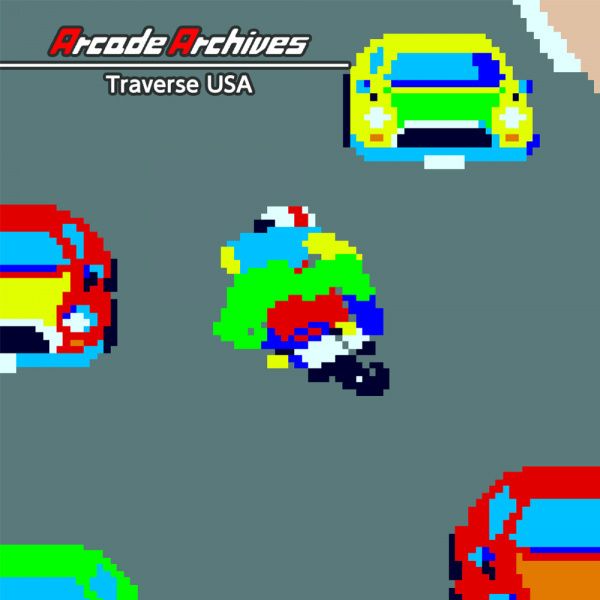 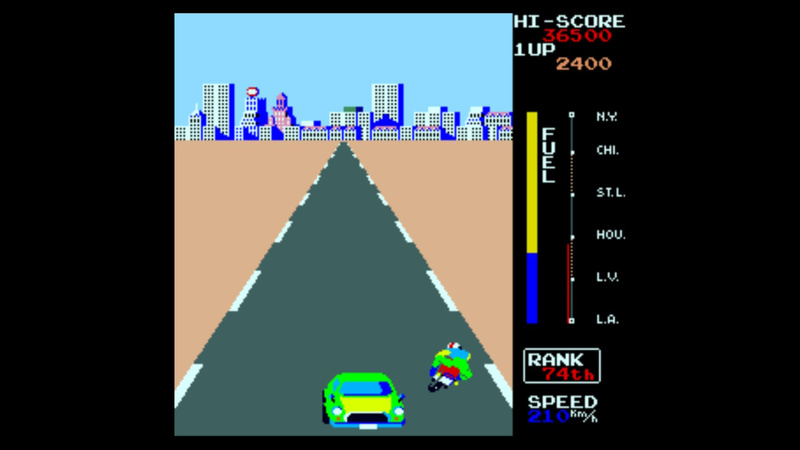 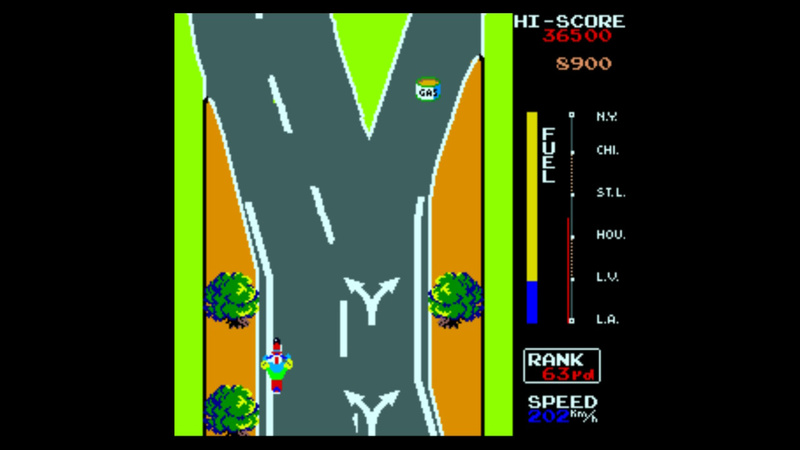 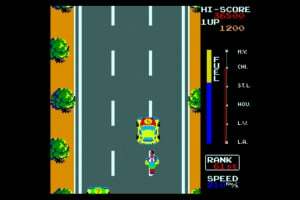 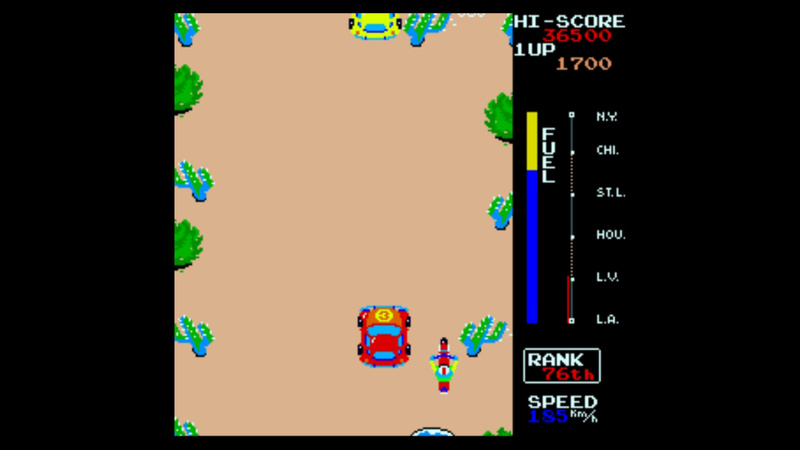 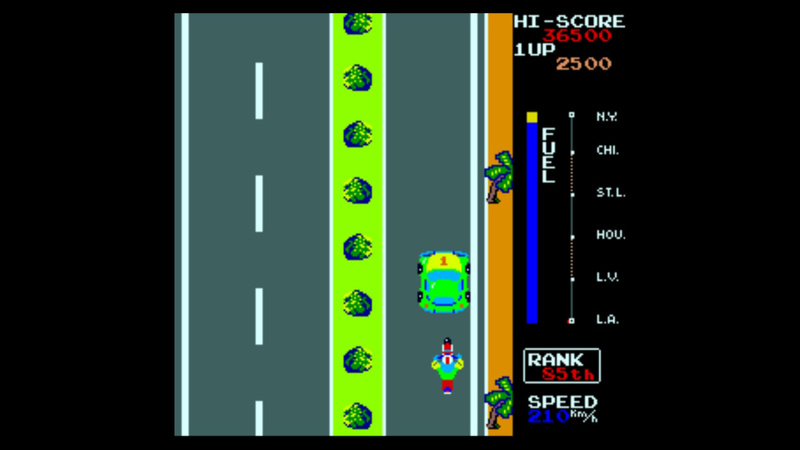 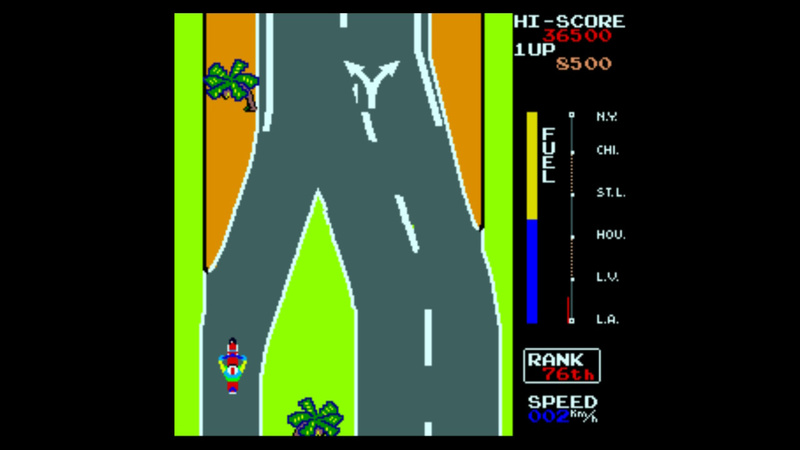 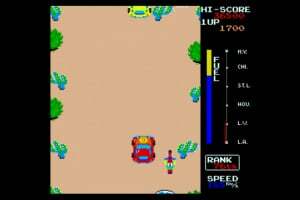 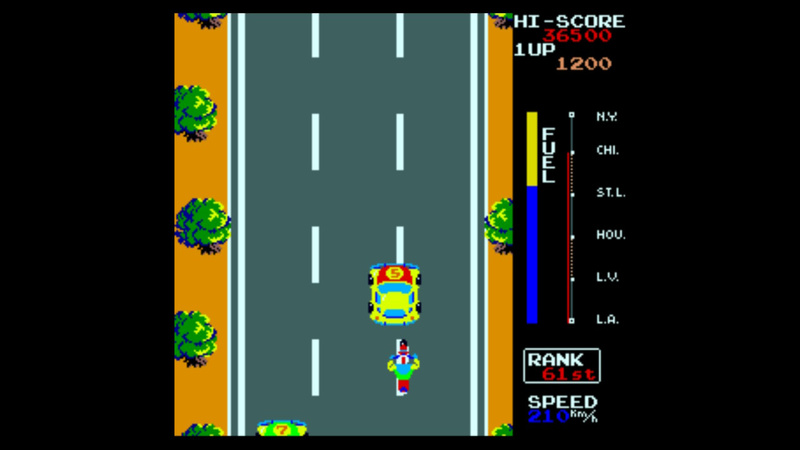 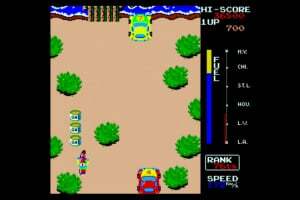 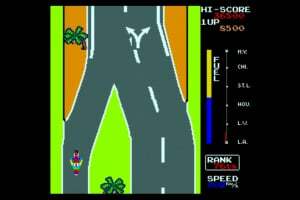 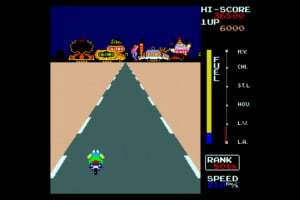 "Traverse USA" is a racing game released by IREM in 1983. Hop on a motorcycle and ride across America, avoiding cars as you head to your goal of New York City. 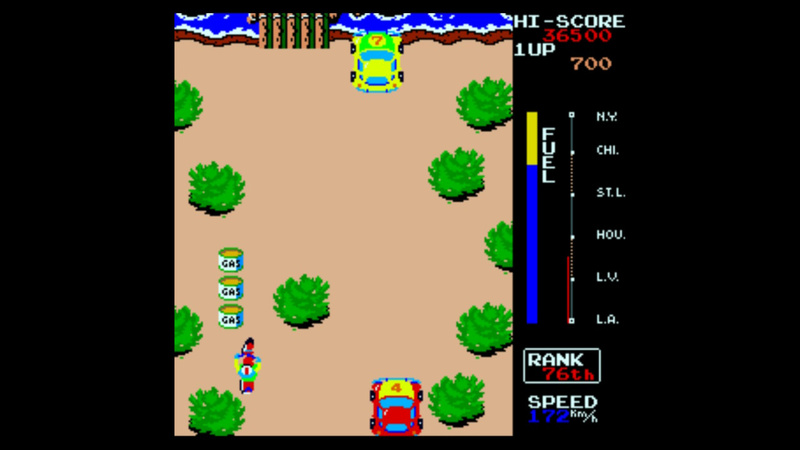 A variety of obstacles await off-road and on, so utilize all your techniques as you participate in this race.